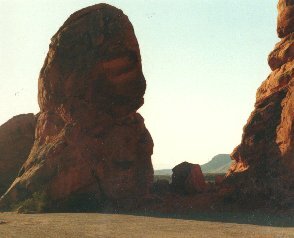 Close to Las Vegas and Lake Mead is the Valley of Fire State Park, a desert like place with bizzare limbstone formations. That wouldn't be an attraction if it wasn't for the red color of the limbstones. 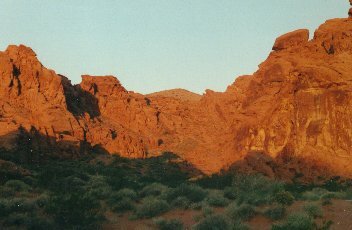 Especially at sunset and sunrise the rocks are deep red and provide a spectacular scenery. They really look like fire and that's probably also where the park has its name from. 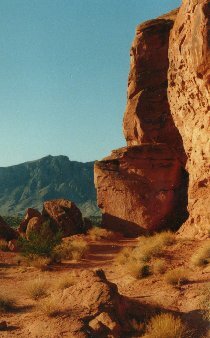 There are probably also hiking possibilities but we only spend the night at the campsite on our way to Zion National Park.